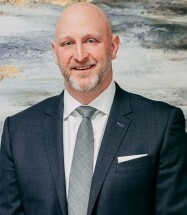 At The The Law Offices of T. Andrew Miller, injured workers in the Atlanta area and across Georgia find trustworthy and experienced counsel and guidance with workers' compensation claims. For years, attorney T. Andrew "Andy" Miller litigated cases for insurance companies and employers, gaining significant trial experience. Today, he uses that knowledge and experience to vigorously uphold the rights of injured workers and their families. Mr. Miller represents employees statewide who have suffered catastrophic and disabling injuries and other workplace incidents rendering them unable to earn a living. Mr. Miller provides personal attention to clients and works with them one-on-one. Mr. Miller is accessible and works hard to respond to clients' concerns seven days a week. Mr. Miller charges no upfront fees, and he only gets paid if he is successful. Mr. Miller has in-depth experience in these types of injury claims. To schedule a free consultation about your workers' compensation case, call the Atlanta office today. The The Law Offices of T. Andrew Miller, serves clients in Fulton County, Cobb County and throughout the state.